The sun is shining, the clouds are parting and the early signs of cherry blossoms have begun to appear! I am happy to report that Vancouver has brushed off the winter cold and is welcoming the beautiful warmth of Spring. In fact, today was gorgeous out and I found myself turning off the heater and opening the sunroof in my car because believe it or not, I was hot in my car. Cherry Blossom season in Vancouver is one of my favourite times of the year and I look forward to it after our long cold rainy winters. I probably take an excess of 500 pictures of the blossoms every year because I find them so beautiful. Furthermore, Cherry Blossoms are delicate little flowers and are around Vancouver for barely a month. The soft fluffy pink flowers bring smiles to everyone's faces in Vancouver and did you know, Vancouver and Victoria are the only cities in all of Canada that have the iconic pink flowers! To welcome the Cherry Blossom season in Vancouver, Metrotown Vancouver with the help of HFour, a Vancouver-based interactive arts company, has transformed the Grand Court into a stunning display of cherry blossoms! Nearly a quarter million blossoms are hung from the ceiling and are framed by massive metallic orbs that from afar almost look like magnificent silver clouds floating on branches of pink blossoms. It is honestly the most striking and ambitious installation that I have witnessed to date at Metrotown. What makes this installation unique is that a huge part of the work is suspended from the ceiling; therefore, patrons are able to see it from the second and third-floor balcony too! 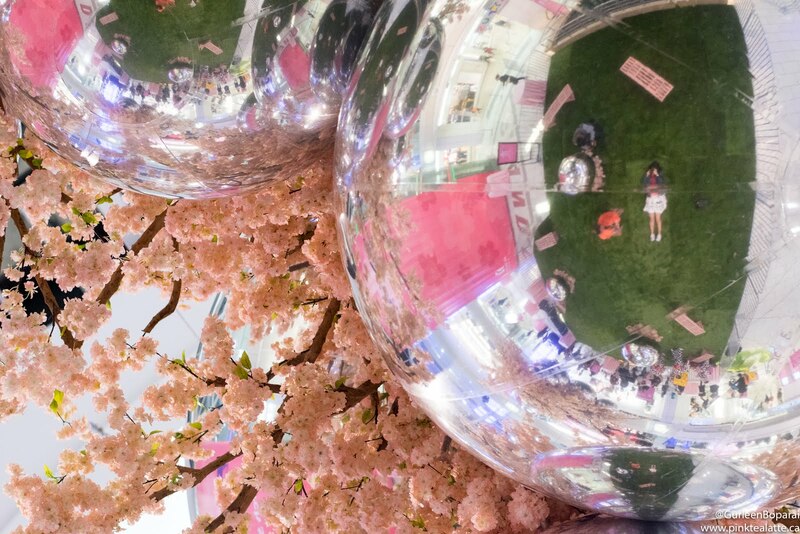 If I had to describe it in under 10 words: Larger Than Life Cherry Blossoms on Silver Clouds. The installation is not just above our heads. 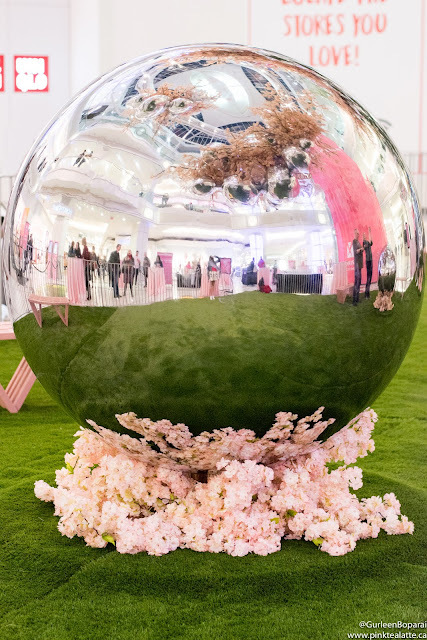 If you head down to the Grand Court, the floor has been covered with faux grass on which several large metal orbs have been affixed to and cherry blossoms circle the base of each ball. 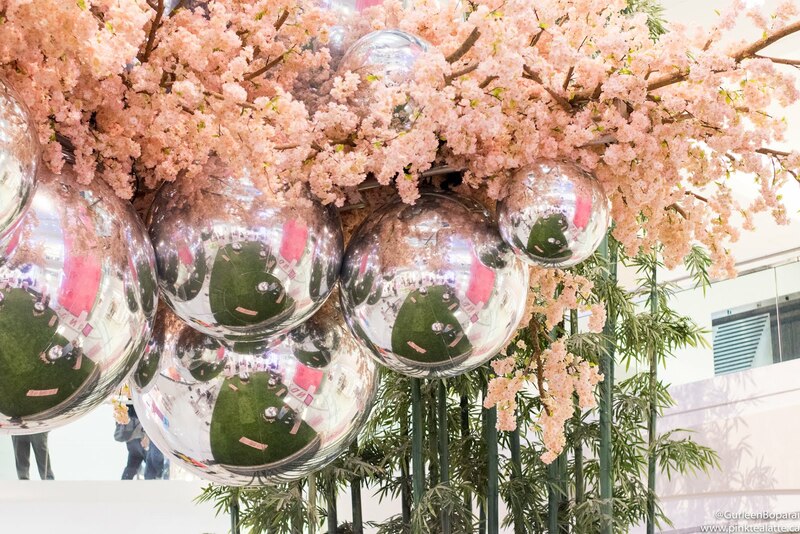 Since the balls are metal and metallic, it acts like a mirror giving the illusion that the installation is infinite. 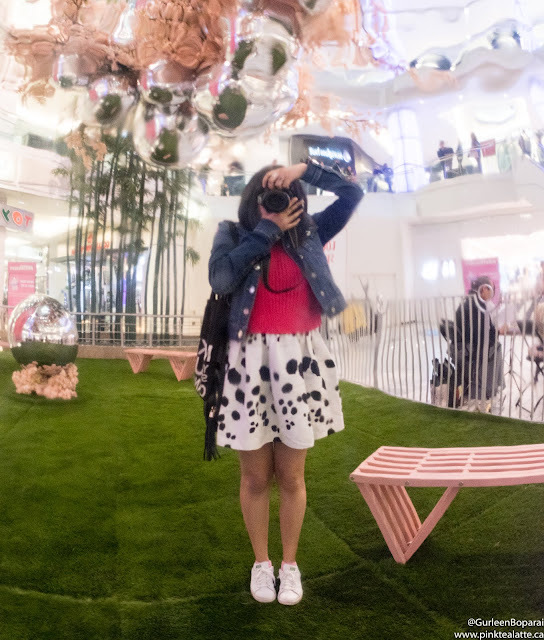 The balls on the ground are huge and visitors are encouraged to take a seat on one of the pink benches and gaze into the balls - perhaps it will reveal your future? These mirrored spheres are magnificently huge and the largest has an impressive diameter of 4 meters across and is part of the overhead installation. The installation is truly unique and is something you will want to catch a glimpse of in person. 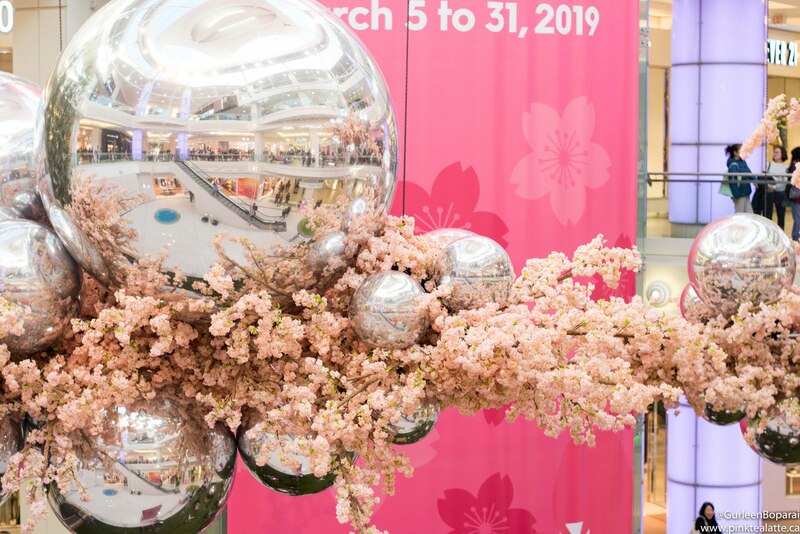 You should head to Metrotown soon because like with all great things, the installation will be wrapping up at the end of the month, March 31st being its final day at Metrotown. 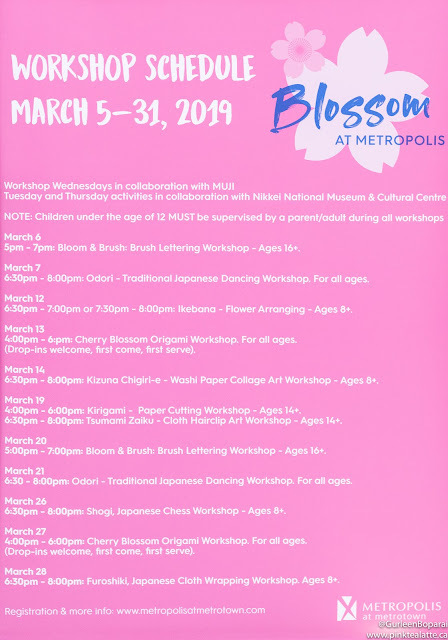 Blossom at Metropolis is also accompanied by several workshops that will be running throughout the month of March. A couple that I myself am really interested in attending are the brush lettering workshops as well as traditional paper cutting. However, knowing my schedule, I am probably going to be far too busy to attend one the which makes me sad. 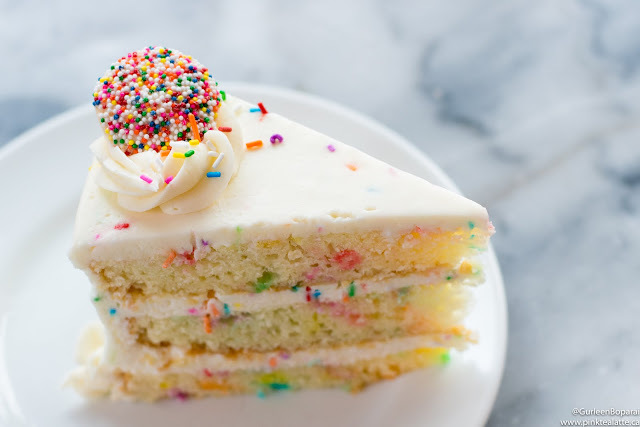 Hopefully, you are able to go for me! 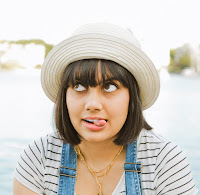 You are probably curious as to where I got a kimono from to wear in the pictures. 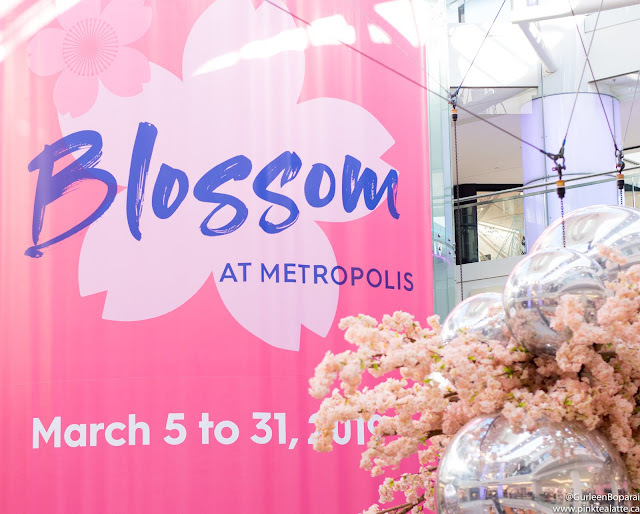 I was lucky enough to attend Blossom at Metropolis' media launch party at which they had traditional Japanese dancers as well as snacks and cocktails. A few of us were lucky enough to be outfitted in a kimono! I instantly gravitated towards this kimono because I personally find peach, pink and gold to be an elegant trio of colours. I do not believe the particular kimono I wore was made from silk, but if it was, that kimono in those colours would have been breathtaking. 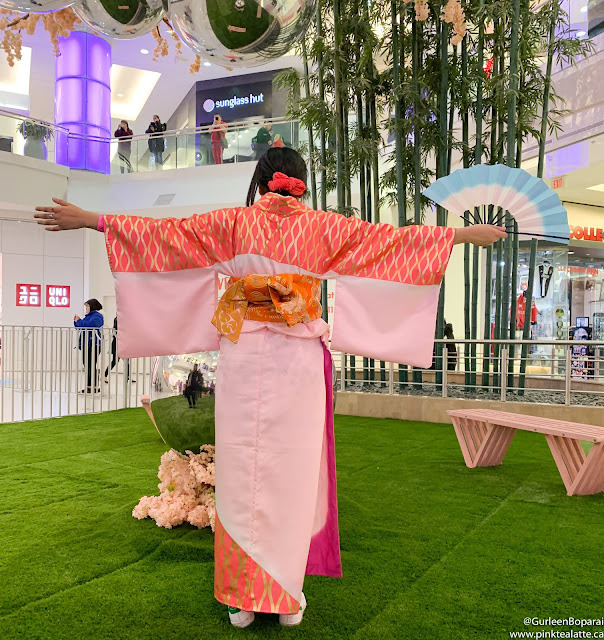 Also, can we take a moment to talk about what it takes to wear a kimono! It took three women to tie my kimono and they used some considerable force when tying the knots. It was fascinating how precise each fold and knot they made was. After they were done, I felt like I had just been outfitted into a corset because they really pulled the obi (the sash in the middle) tight! 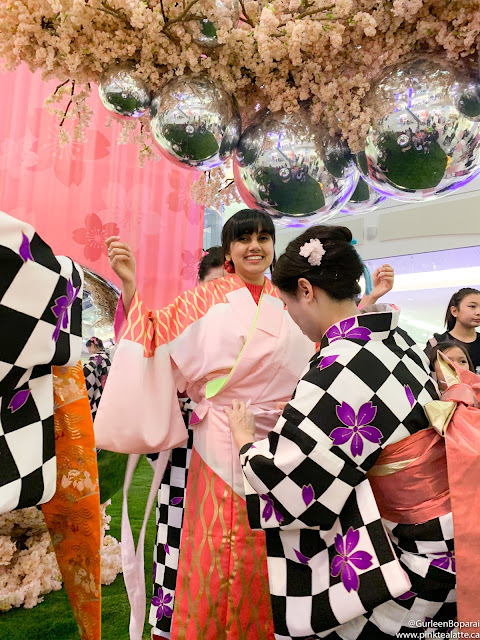 My friend Maggie from C'est La Vie Maggi attended the event with me and she too got to wear a kimono. Maggie has written a post on Blossom at Metropolis too, but unlike me, she posted about it a week and a half ago!